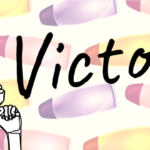 UPDATE (5.2.18): Victory! Thanks to women raising their voices, SC Johnson has started to come clean about its Greenlist chemical screening process! SC Johnson (makers of such brands including Windex and Glade) has a process for evaluating chemical safety—a trademarked process called GreenlistTM. And SCJ loves to holds up its GreenlistTM process as evidence of its product safety. The problem is, they don’t tell us how they define “safe”. We know the company still uses synthetic musks, chemicals linked to breast cancer! 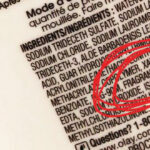 Which makes us wonder: how can hormone-disrupting chemicals like those be considered “safe”? But as our Deep Clean report illustrates, the company keeps their safety criteria for ingredients a secret. That doesn’t seem very transparent to us. SCJ – How can we trust the integrity of your Greenlist when your criteria for chemical safety screening is kept secret? Tell SC Johnson it needs to improve its toxic chemical screening process if it wants to regain your trust. There is no federal law mandating the disclosure of cleaning product ingredients, which means that manufacturers are legally allowed to keep the ingredients they use – including toxic chemicals — a secret. Furthermore, little regulation exists in the U.S. to limit or control the use of such toxic chemicals in consumer products. Until federal and state regulations enforce safety and transparency, companies are directly responsible for ensuring their products undergo a comprehensive and ongoing screening process for toxic chemicals. External oversight of chemical screen processes is virtually nonexistent, and there’s an overwhelming absence of industry standards. Since Women’s Voices launched its Safe Cleaning Products Initiative in 2007, manufacturers have made considerable strides towards removing certain toxic chemicals from their products and in publicly disclosing product ingredients for the first time on their websites. But there’s more work to be done. Our Deep Clean report, not only outlines what the cleaning industry should be doing to protect your health, it provides the clear framework of what we expect – of what consumers expect – an effective screening process to look like. Critical to this framework is the simple task of publishing a company’s safety criteria in a transparent way. Last year — because of tens-of-thousands of concerned consumers raising their voices — SC Johnson became the first mainstream company to commit to disclosing fragrance chemicals on a product-specific basis. SC Johnson has also started listing ingredients on product labels, and you have eliminated several chemicals of concern to women’s health. We applaud SCJ for taking these steps. 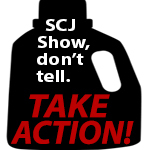 Disclose how SCJ screens its products for toxic contaminants. List of all the chemicals SCJ won’t use in your products. Demonstrate that SCJ is paying attention to new science on chemicals – and keeps up to date with authoritative lists of harmful chemicals by governments and scientific organizations. Show us how SCJ decides how an ingredient rates as “Better,” “Best” or “Good,” and what it takes to fail the GreenlistTM and become a “0-rated” chemical. Commit to assessing ingredient safety on an ongoing basis. Provide ongoing information about progress SCJ is making over time. SC Johnson, a company headquartered on the shores of Lake Michigan, has said publicly it is committed to improving the safety of the ingredients they use. 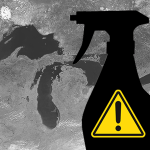 If that’s true, they should not allow Galaxolide to be their legacy contribution to the Great Lakes. Read more.